In 1940 WWII, allied troops stranded on the beaches of Dunkirk are slowly and methodically evacuated using every serviceable naval and civilian vessel that could be found. … whilst at the same time fearing an imminent attack. Now I can’t say I am all that familiar with the historical aspects of this based-on-true-events depiction, so came into this blind with only the prospect of it being directed by Christopher Nolan getting me all that excited. I’d say at this stage he is one of the best directors around and for me has crafted some incredible cinematic experiences. So trying his hand at a war movie … well, someone take my money! So we get the expected awe-inspiring photography and Nolan’s usual reliance on actual practical effects where clearly no expense seems to have been spared … and when we have areal dog fights or capsized ships it’s a sight to behold I can tell you. Sad then that the surrounding events didn’t engage me as expected, not help by strangely bland characterisation that even names like Kenneth Branagh and Tom Hardy fail to elevate. 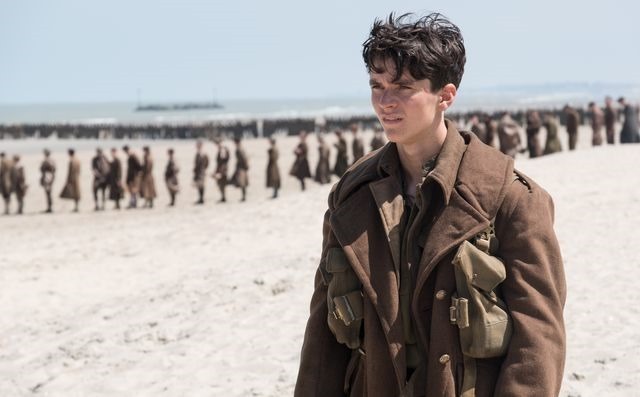 Told through the eyes of several characters; a young lad who jumps aboard a boat setting sale to bring aid to the stranded soldiers at Dunkirk beach, a wet-behind-the-ears soldier at the beach who finds himself in a group of scared soldiers trying to find safety, and Tom Hardy’s spitfire pilot … this delivered a few powerful moments of dread and excitement but is ultimately let down by a trying to be clever, non-linear structure that’s at first not apparent – resulting in confusion. Add to this a relentless over-dose of orchestral music that is tie-one’s-stomach-in-a-not intense even during relatively mundane moments and I began to think Nolan was trying to hide the fact he didn’t really have much to say. It’s an event in WWII history that was significant, but the depiction we get here made it feel like just another day in the war (apparently thousands lost their lives, not that you see much of that). WWII caused a horrific time in world history and several movies have brought that home and showcased courage under impossible odds much better (Saving Private Ryan). So… maybe go see this for a bit of a history lesson and some admittedly stunning visuals. Stay at home if you’re expecting much else. So with a slight update to my usual ‘update’ heading on here … I thought I’d do a post about what things have been peaking my interest of late. 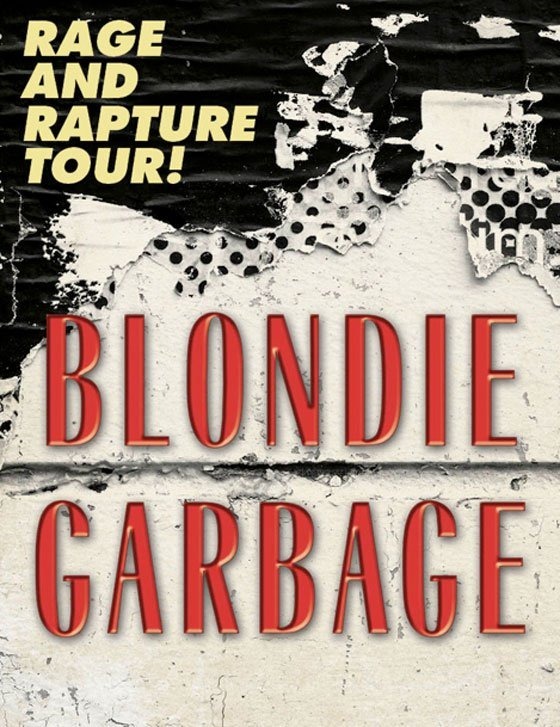 Let me firstly get out of the way the awesome news that my favourite band, Garbage are this summer going on tour with legendary 70s / 80s band ‘Blondie’ fronted by none other than the iconic Deborah Harry. Yes, THE Deborah Harry. Now, Shirley Manson has previously been on stage with this singer and former actress, and they are old friends from way back, so I suppose their imminent teaming up for what has been titled the ‘Rage & Rapture’ tour should have been an easy guess. This for me is two generations of a similar band, at least as far as a female-fronted, otherwise male orientated bands are concerned and there are certainly some similarities to Shirley Manson’s singing-style and that of Deborah Harry’s. So for any fan of either group – these are going to be shows not to be missed! More info: Click Here. In other news I picked up the eagerly anticipated Resident Evil 7: Biohazard last Friday and have been nervously enjoying this scare-fest ever since. 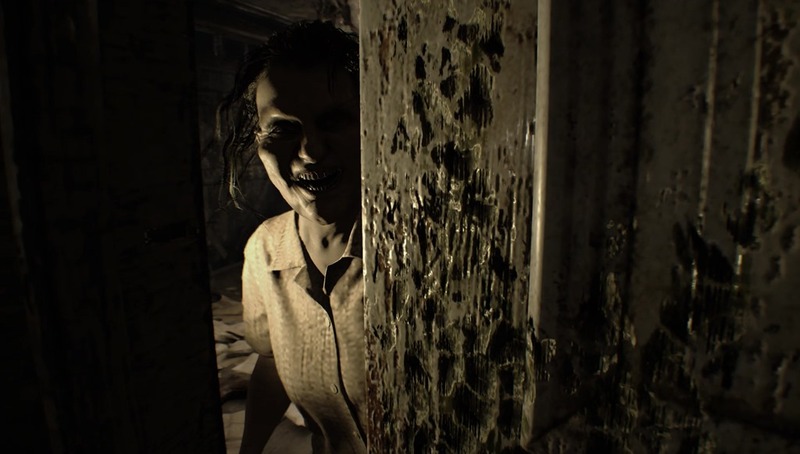 It’s of that recent trend for genuinely unnerving and scary horror games as apposed to the action-orientated style the series had gradually become known for, and is probably more like the very first game, what with secluded mansion to explore and limited ammo etc. I’m playing it on Xbox One and having a great time with it. It drips with atmosphere and the dark and gloomy visuals and accompanying eerie sound design have me on the edge of my seat. On the music front I’ve been enjoying albums from Blossoms, Tegan and Sara and Two Door Cinema Club in my growing journey to broaden my horizons and discover different artists than purely my beloved Garbage. It’s fun finding out what’s out there and Apple Music is helping me do that perfectly. 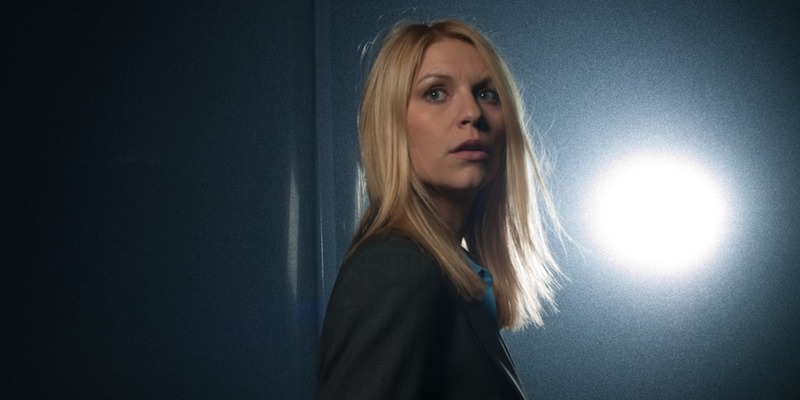 TV-wise I’m getting into the latest series of Homeland, a firm favourite and also gritty British period drama Taboo starring Tom Hardy, which will do me nicely in the run up to The Walking Dead and eventually the return of Game of Thrones. Other than work, that’s pretty much me for now. Come back soon and I’ll tell you a little more. (updated: 06/08/2016) Director Alejandro González Iñárritu is quickly becoming one of my favorite film makers, and I can’t say I’ve yet seen a movie that hasn’t impressed me in some way. After all his last effort, Birdman was my movie of the year for 2015. So him teaming up with one of my favorite actors, namely Leonardo DiCaprio seemed a marriage made in heaven. DiCaprio plays frontiersman Hugh Glass who whilst out with a group of men to gather supplies and food for their village, is attacked by a Grizzly bear and almost killed. Despite his comrades choosing to help and carry him back home, the journey proves too tough so Tom Hardy’s conflicted frontiersman and Glass’s half Indian son along with another of the men choose to stay behind and find a less treacherous way around a mountain to get back home. Only problem is Hardy is only out for himself and double crosses Glass, abandoning him. Glass then has to survive against the odds to find a way back home in a harsh and unforgiving wilderness. Superlatively filmed with no end of eye-catching skill, Iñárritu delivers a gritty and powerful experience that leaves little to the imagination. DiCaprio gives more a truly physical performance than a typical acting one and has only smatterings of dialogue throughout. Yet he is convincing as hell as he faces off against the elements; stampeding buffalo, hostile Indian tribes and nature itself whilst tending to wounds that would normally kill the average man. I was thoroughly gripped by Glass’s plight and even though his journey is long and ponders life, death, love and family among all the survival stuff, I wasn’t bored. However, the grueling tone felt hard going and it gets fairly gory in places, meaning some scenes were quite unsettling. It’s also rather vague with the details, who’s who, when the story is actually set etc. Yet as Glass faces one problem after the other, the drawn out sequences and almost dream-like feel seemed necessary to get the full effect. Hardy is also very good despite a difficult to understand accent, but his character was probably one of the more interesting he’s taken on for a while. However above all else I’d call this Iñárritu’s show – his eye for poetic imagery, stunning cinematography and amazing detail even made such things as running water look gorgeous – and boy can he film a battle sequence! It’s not a movie to expect it’s point to be reached all that quickly. It’s also quite unconventional as far as it’s performances go. Yet it’s a story that needs to slowly unravel and linger on things, which granted won’t be for everyone. But if like me you can appreciate real film making with real meaning, then this is simply essential viewing. I loved the 1990 British biopic of The Krays starring former Spandau Ballet brothers Gary & Martin Kemp which for me had long been one of the best gangster movies I had seen. However I haven’t seen that rendition in a long time so the prospect of a new adaptation of the famed East End mobsters’ story was exciting. Also the fact current hot property Tom Hardy (Mad Max Fury Road) was taking on the roles of both Ronnie & Reggie Kray meant this couldn’t fail … or could it? Set during the height of the gangster’s reign over the criminal underworld in the 1960s, Reggie and his rather unstable brother Ronnie have London eating out of their hands; rubbing shoulders with celebrities, owning nightclubs and about to go into business with the Italian Mafia. Told primarily from the perspective of Reggie’s wife Francis (Emily Browning – who somehow still has a career after the god-awful Sleeping Beauty) this promises to be another mob classic to stand alongside movies such as Goodfellas. 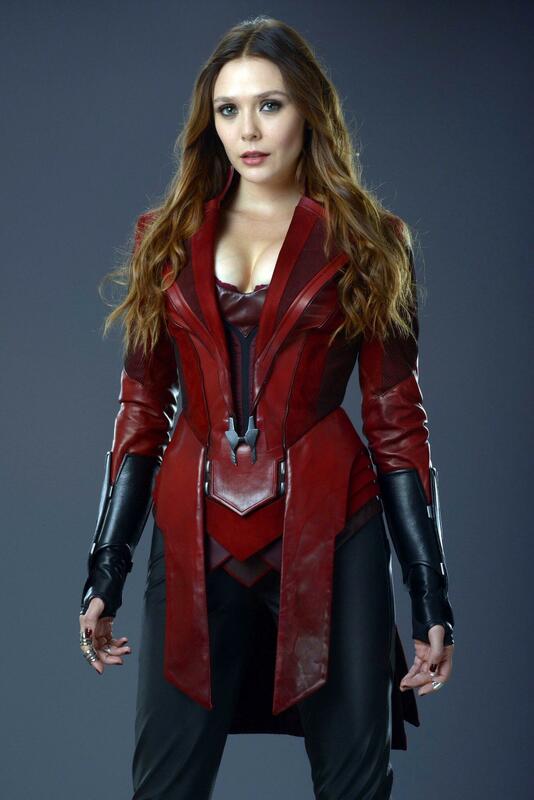 Yet in the hands of director Brian Helgeland (A Knight’s Tale), we get anything but that. His direction is plodding despite decent production value and eye-catching photography, but for a mob movie there is a total lack of menace. I didn’t feel like these people were all that intimidating or scary, and in a decent gangster yarn, I’m usually always a bit nervy of something kicking off any second. This is not helped by the focus on Reggie & Francis’ relationship where the casting of the porcelain pretty Emily Browning once again proves her as one of the most uninteresting actresses currently working, not helped by her snore-inducing narration. This needed much more of the criminal lifestyle and the enforcing of that lifestyle … yet mob hits come out of nowhere, and famous murders just happen with no build up. 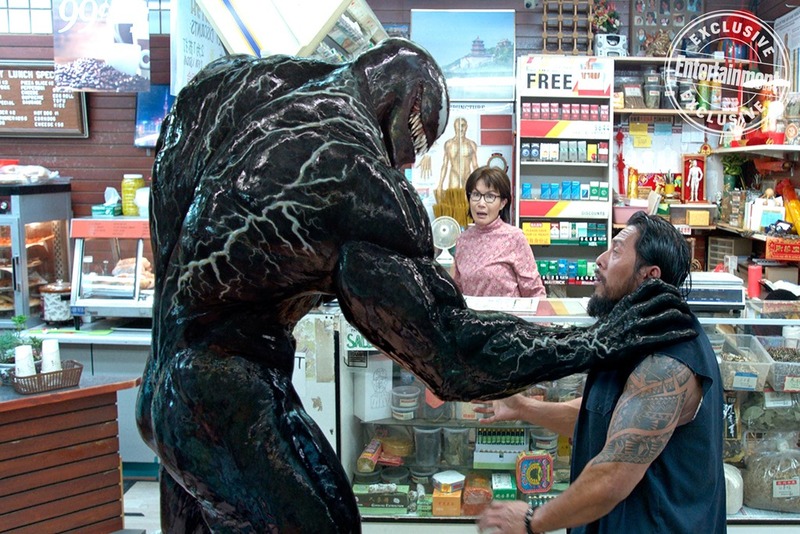 Trying his damndest is Tom Hardy but although charismatic as Reggie, his apparent control and intimidation of Francis is bizarrely glossed over, making a certain turn of events later on come out of nowhere. On the flip side his portrayal of Ronnie is borderline farcical, the legendary gangland mobster reduced to an absurd caricature rather than particularly threatening (the trumpet blowing scene almost had me giggling in embarrassment). So the tone and pacing and everything other than the look was totally off, and important characters to the Kray’s story such as their mother or infamous names like Jack ‘the hat’ McVittie are little more than ‘just there’ when their inclusion could have helped with the movie’s authenticity (which has to be said, it takes liberties with). The Krays were fascinating and pretty scary in real life by all accounts – but this interpretation failed to capture hardly any of what made them famous or ironically, legends.